KC Eats | Best Road Trip Ever! Sheri Parr’s beloved downtown joint not only cranks out a truly killer bacon-wrapped, beer-battered, deep-fried hot dog, but has great local live music at night. Check out the Saturday Brickfast – an all-day biscuit-and-gravy buffet and Bloody Mary bar. The Brick has rocked the music scene for more than ten years. Their small stage has featured national and top local acts, as well as a bluegrass open-mic night. Odds are, if it is a Friday lunch, a number of folks from Propaganda3 will be at the family-sized table, laughing, talking and tapping away on phones. The Farmhouse features “creative” comfort foods of all types, focusing on the “tip-to-tail” approach, and using the best of the available crops from a variety of local farmers. Lunch or dinner, the local cheese plate (and oh, those crackers) is always a great choice, as are the succulent corned beef and juicy burgers. The burgers aren’t bad. Onion rings are pretty good too. But it’s the train that brings them to your table that elevates this to local landmark status. They’re not made by Lionel, a model train fanatic, or even by a former railroad worker. Fritz Kropf, the guy who ran the joint, wanted a way to depend less on his undependable personnel. So, he rigged up a slot-car-like version of an undersized train track and started running engines around the perimeter to do the delivering. His family had their doubts, in the end, yet another visionary won the day! Garozzo’s opened in 1989, and soon was proclaimed by Zagat’s as one of “America’s Top Italian Restaurants.” With its “very good to excellent” rating, the place was described as “an Italian trio that supplies food so good you will taste it in your dreams …in a Sinatra’s kind of hangout… including frighteningly huge portions and a signature chicken Spiedini that is among the best dishes in town.” Seriously, this is Italian the old school way! Brought to you by the same fine folks at Happy Gillis, this former gas station is “the” place in the Bottoms to have breakfast and lunch. Be sure to add the bacon marmalade to whatever you order…crazy good. Really, everything is crazy good. Check out the chili and tater tot New York-style pizza, and great lunch specials. The terrific sister restaurant next door, “Grinder’s West,” is ever-so-slightly more upscale with original art table tops…both run by the sculptor, Stretch. In the summer, they have an all-star music line ups in the back outdoors area (Crossroads). Lucinda Williams, Old 97s, Avett Brothers and more have rocked the stage in a one-of-a-kind music spot! 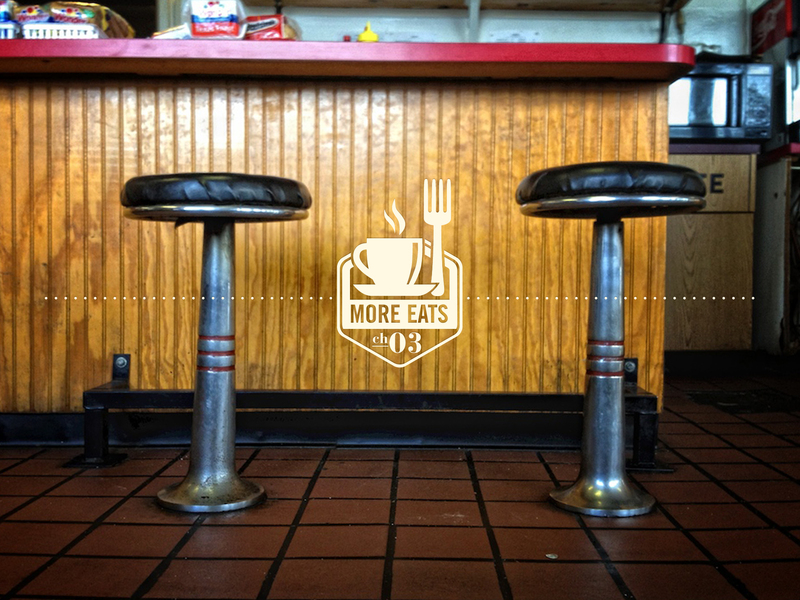 Since 1951, this diner counter with only six stools and a small kitchen has been making their signature sandwich – a tempura-like pork tenderloin with three thin pork tenderloins stacked between a cornmeal-dusted hamburger bun. Topped off with hot sauce, shredded lettuce and pickles…mmmmm. Don’t let the unassuming exterior fool you, this is great French food. The intimate, dark, eclectic dining room is filled with a raucous energy, and the food is second to none. The wood and mirror 1920s bar acts as center stage for the mixologists as they serve up icy martinis and wisecracks. Featuring both the traditional: steak au poivre with pommes frites, bouillabaisse, foie gras, escargots, as well as more global fare: fish steamed in banana leaves, white gazpacho, grilled bison and wild game. Mmmmm – good home cookin’! Friendly folks serving up terrific southern soul food. I love it for breakfast – be sure to check out their country cured ham. People swear by the chicken and waffles. Lunch and dinner will fill you up and leave you happy…fried chicken, meatloaf, yams, mac and cheese, mashed potatoes…for dessert, there is coconut cream pie, lemon cake, peach cobbler… This is the real deal. Succotash has a great eclectic vibe and huge portions for your not-so-typical breakfast fare, like the Burrito of Love. Slide onto the white leatherette sofa and check out the “Little Richard” (a real Mexican Coke, with a shot of expresso!) Or try their 7 layered, multi-colored citrus cake. This tiny 24-hour diner has been a local favorite since 1942. In the heart of the Crossroads Art District, the food and folks make for an unforgettable dining experience. Great after late night revelry, when you are need to soak up some of those poisons, or just do some serious people-watching before dreamtime. This is a great little Vietnamese place, nestled somewhat off the beaten track in Columbus Park, just east of River Market. You know you are in the right place when the majority of diners are of the same ethnicity as the cuisine. Love the pork bun with eggroll, and the shrimp with sweet potato fries. Got a cold? Then order the Pho. Huge portions – you will go home with left-overs! As the name implies, this local spot has fresh, farm-to-table dining and a great beer garden. Their small plates are perfect for sharing a variety of tasty morsels – the deviled eggs and pints of fries that can’t be missed. This tiny eatery (only 4 tables inside, a couple more outside) boasts recipes curated by globe-trotting artist and chef, David Ford. Prepared with local ingredients and cooked to order, dishes like muffeletta and fresh pastas are hidden local treasures. Although it’s no longer a grocery store in the traditional sense, the original Art Deco-style wooden shelves are still stocked with bags of pasta, a few locally grown veggies, jars of marinated vegetables, and artisanal breads. Randy Parks and Mark Wingard opened this relaxed combo coffee-shop-grocery-store-luncheonette in the old Weneck Brothers grocery store. Its a great spot for breakfast be sure to try the cinnamon rolls.